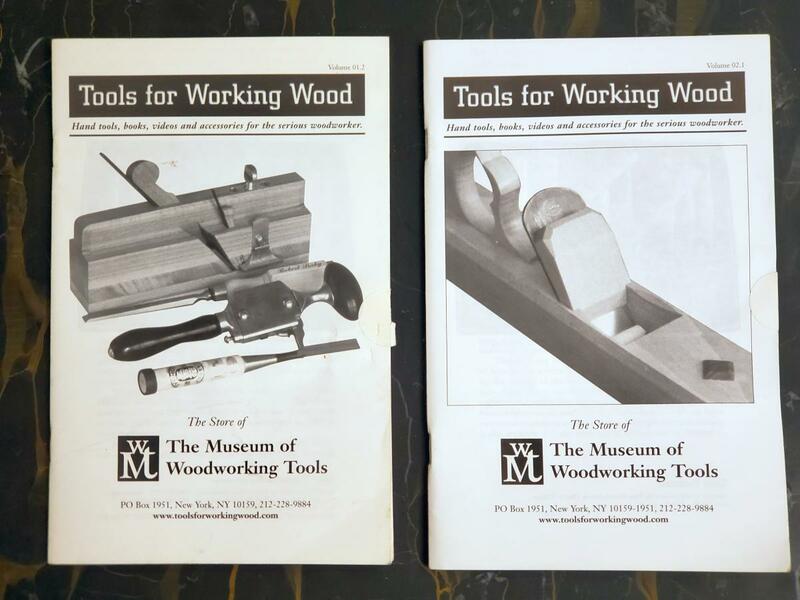 It's hard to believe how time flies but twenty years ago - April, 1, 1999 - Tools for Working Wood opened its (electronic) doors. In the 1990s I worked as a computer programmer and consultant. My partner and I realized our clients were becoming interested in a newfangled thing - the internet - and we needed to showcase our ability to set up websites for our clients. We wanted to demonstrate something substantial, so I put my love of woodworking and tools to good use and registered antiquetools.com and created The Museum of Woodworking Tools, a virtual museum with exhibits on woodworking, the social history of craft and analyses of the tools I loved. E-commerce was rising in importance, so we needed to offer a sample eCommerce site. Viola - a virtual gift shop for our virtual museum. In the beginning TFWW just sold Astragal Press books. Then some mugs. By the end of 1988 my partner and I split up the business. He kept our office with the beautiful walnut kitchenette and I took the Museum in the split, which became final on April 1, 1999. During those months I worked frantically, rewriting and sourcing the first Tools for Working Wood ecommerce website. Sally, then my girlfriend and now my wife, and I took a trip to Vietnam, leading to the Museum’s exhibit, Woodworking in Vietnam.. I took side programming gigs but focused on developing Tools for Working Wood. When Sally and I married, I celebrated by officially quitting my side jobs to concentrate on TFWW. 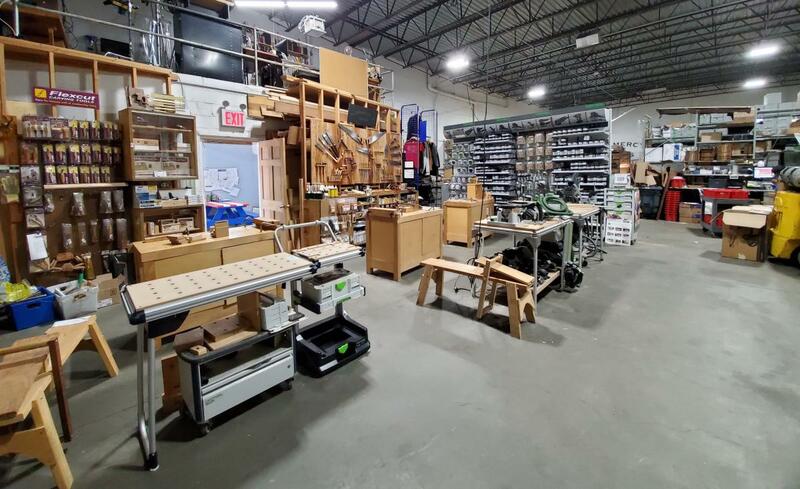 It was a heady time, especially in the opportunity to participate in the revival of classic woodworking tools. Many of the makers of that era are unfortunately no longer in business. It was thrilling to sell their tools, which I had stowed away under the bed and in various closets. Tools for Working Wood was based out of a nook in the living room and a post office box. It was a big day when TFWW got a Fed Ex account! We continued this tradition for a long while but eventually realized we were not able to keep up with the growth of our product lines - a bit bittersweet for us (and disappointing for the customers who call up each week looking for a print catalog). In 2002 TFWW left our apartment and moved into a rental space in the now really, really unaffordable Flatiron section of Manhattan, where we stayed for 5 years. Sally had been helping behind the scenes from the beginning, but TFWW was ready for the next important milestone: the hiring of Employee #1 - the start of hiring the wonderful people who have contributed to making TFWW thrive. We would never be where we are without the design, manufacturing, customer service, sales, product development, graphic arts and packing talents of our great staff. Around 2005 we started making tools - first outsourcing production and more recently making them ourselves with our own CNC machining center. The need for more space drove us from Manhattan to Brooklyn in 2007, and again in 2016 to a better, more manufacturing-friendly neighborhood about half a mile from our first Brooklyn location. We continue to offer tools from all over the world that inspire us, and we are committed to continuing the craft tradition through our work. We’re thrilled when tourists tell us that our shop is a destination - whether they’re coming from Uruguay or Malta or Abilene, TX “because my daughter lives in Brooklyn now.” We love the “You guys rock!” and “Amazing customer service!” notes on the order. We love that you trust us for advice on your precious projects. And we know that - in one of the biggest changes over the past 20 years - you don’t have to shop at the “local” store or the place you’re used to going to. You have a choice - a big one. You’ve chosen to invest in us, and we’re humbled by that decision. What do the next 20 years bring? We can’t foretell the future, but we hope it brings more appreciation for craft all over the world. On a more immediate note, in honor of the anniversary we have rolled out a bunch of changes to the website, including a much easier-to-read background and much better support for browsing older blogs. More website changes are coming in the next few months that will make it easier than ever to use. We are deeply grateful for all the support you have given us over the years. Thank you! The mug that started it all! Congratulations Joel and Company! What a creative and generous spirit you have brought to our part of the world! I am drinking right now from the "mug that started it all" and only wish I had at-home seltzer delivery to fill it from. Congratulations on the first 20 years of business. It is a good start ;) May you have many more. So Joel... where’s the link to your mugs...? Lol! Congratulations on your anniversary. I admire your courage to follow your passion. Keep at it, and I can’t wait for the 40th anniversary blog! 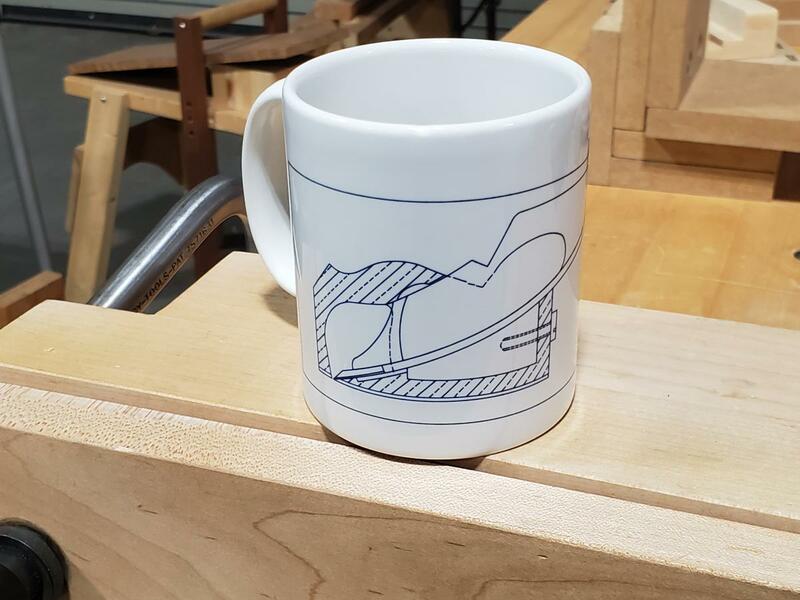 Perhaps a reissue of the original mug is in order. I would buy one in a heartbeat. Sorry, I just needed to complete that phrase. Congratulations on your remarkable journey. Your efforts on behalf of all of us are deeply appreciated. Best wishes for a long and prosperous future. Congrats, and here's to another 20 and then 20 more. I truly appreciate ecommerce that dedicates itself to certain high levels of quality, both in products and service. I do have to say, I really miss your catalog, as I do the general demise of print (magazines, newspapers, etc.). Congratulations Joel on 20years & I wish you the best on the next 20! I really appreciate your knowledge and teams, you all answer my questions no matter how stupid they may be. It is great having a shop owner actually care about his customers not just their money. You guys fill in an important spot on the east coast between North Carolina and Mass/Maine. Who would of thought one of the best wood stores could come out of a concrete jungle. Thanks again Joel and no joke You Guys Rock!!! Was trying to find out how to use a sanding cork and instead landed here. I have to say, I'm impressed by the photos and things you carry. Unfortunately, no "subways" from Minnesota go there. Congratulations on you anniversary.